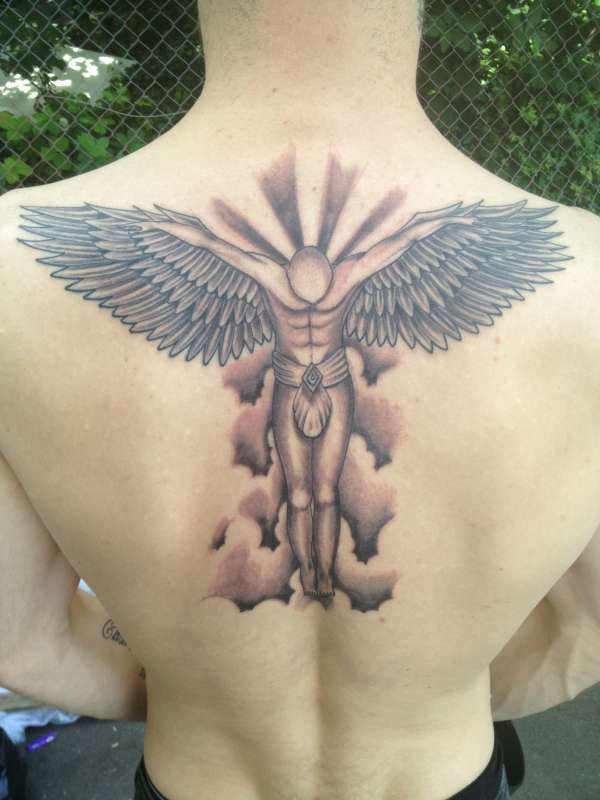 Here is my 4th tattoo I had created to watch over my son Charlie, whos name will be added at a later date along with more clouds and cherubs. i agree quality work here.. Thanks for your comment and vote mate. Looks good and clean... overly simplistic, but good skill here.